I picked these up on a local Facebook yard sale page. 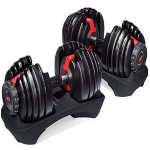 The actual retail price is $550, but they have been $300 on Amazon forever. These are easy to use and switch between weights, well worth what I paid for them, but I don’t think I would have bought them at retail price. New Vs. Used makes absolutely no difference on this product. 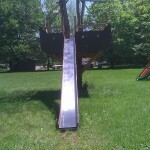 I wrote about how I acquired this slide for $20 in my post about building our tree house for $300. 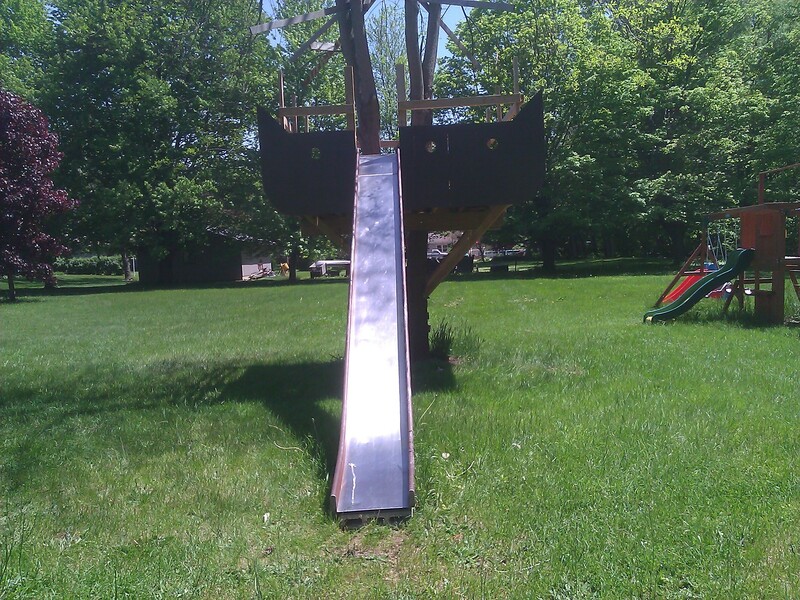 I did a bit of research and found out that this slide was produced by the American Playground company. They still make similar slides, and this model is close to their current D16 straight slide. I asked for a price quote from them and the retail price for this slide is $4,064, not including shipping. Granted, this slide does not include the stairs and even if the stairs were half the cost, the slide by itself would still be 2 grand. The total assembly weighs 730 lbs, so I figure shipping would be extremely expensive. I would guess that the slide I have is around 300 lbs. I will have to sand down the sides and repaint them to take care of the rust on the sides, but even with that expense this is probably my best frugal find to date. 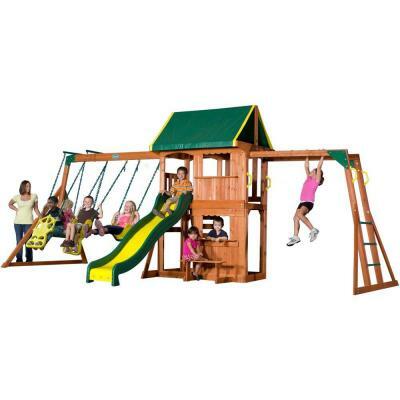 When we first moved to our new house we wanted to get the kids a playset for the backyard. Cash was relatively tight so I was looking for a used one. I found an ad for this set free*. The set had blown over in a storm and had some damage to it, it was in a few pieces. I had to take it apart and remove everything to get it. There was someone ahead of me in line who was a no show, and the seller let me know that if I didn’t show up he would go to the next name, he had a list of about 20 people interested. I brought an entire tool set with me to take this thing apart. I figured it would be bolts and screws for the most part. It was mostly bolts, but they were star bit bolts, and I only had one star bit that fit and most of them needed to be held on the other side to take apart. All in all it took me a couple hours to take apart. I marked the pieces I took apart with letters to match the seams for re-assembly. I barely fit the whole thing in the Van. When we re-assembled it all we ended up needing to do was glue a couple non-structural boards, put a tarp up for the roof, and cut a couple floor boards for the broken section. My wife was able to find the company and ordered the actual boards that went to the set for a few dollars, and it was just about as good as new. We’ve had it for 2 years now and need to replace the tarped roof, but that is an easy fix. The Dollar couch is kind of a sore spot between Mrs. C. and I. about 9 years ago when we moved out of our apartment into her mom’s basement for 6 months I came across this couch sitting outside of the thrift store and it WAS ONLY 1 DOLLAR! I bought it, and called Mrs. C., letting her know to pick me up from Valueland (she had a van at the time). 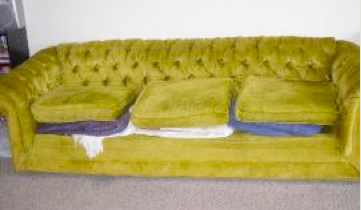 Mrs. C. hated this ugly couch. It didn’t smell or have bugs, so I figured it was a win, we were in the process of looking for a house and we would need some furniture. This couch was awkward and heavy and it was difficult to get down the stairs. We put it in the basement outside our bedroom, which made it stick out into the hallway just a bit. One night Mrs. C. was walking past it and it caught her pinky toe, which most likely broke (she never went to a doctor about it). Because of this some shoes are very uncomfortable to wear, and she blames this on the dollar couch; and by extension, me. When we moved out she refused to bring it to our new house. We gave it to her sister who lived upstairs and she used it for a few years. About a year ago we were helping her mom get rid of some stuff and it was time to eliminate the dollar couch. Somewhere there are pictures and video of me destroying this thing with a hammer, and I will post them when I find them. 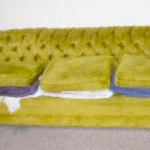 I think it was still a great value because there was a lot of use out of it, but the dollar couch reminds me to make sure to check with my wife before buying anything that is bulky (and/or ugly), even if it is only a dollar. 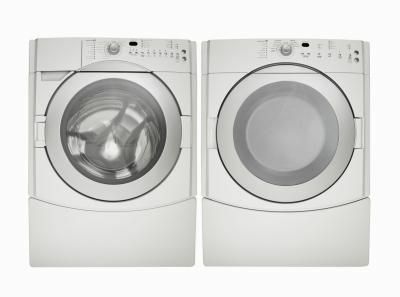 My dad used to work at Whirlpool and they recevied discounted appliances as a benefit. 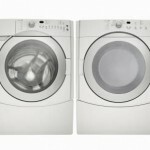 For the most part discounts on major appliances ranged from 25% to 50% off. 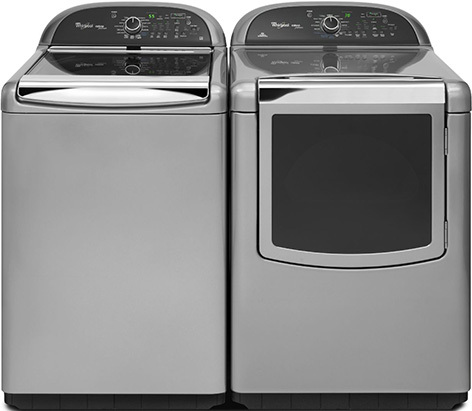 When we moved into our new house we left the appliances behind, our new home had a washer and dryer, but about a year into living there we decided to move the location of our appliances and the washer and dryer we had was a permanent stacked pair, so we needed to buy new ones. Lowes had the washer and dryer we wanted on sale for 25%. They also had the same dryer in the back of the aisle on a deeper sale because it was a returned item, it was just shy of half off. This dryer also already had the electrical plug attached to it. This is another situation where I failed on coupon shopping. I should have had one of those Lowes 10% off coupons and I think I would have saved another $150, still I got a great deal overall. These are approximate numbers because I didn’t save the receipts from all of the bulbs I bought. On average I got them for $1 each when the original MSRP was $10 each. The major exceptions were the 40W bulbs which I was picking up for 50 cents each for a while. 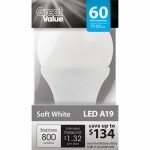 These prices were this low due to the energy efficiency programs in our area. 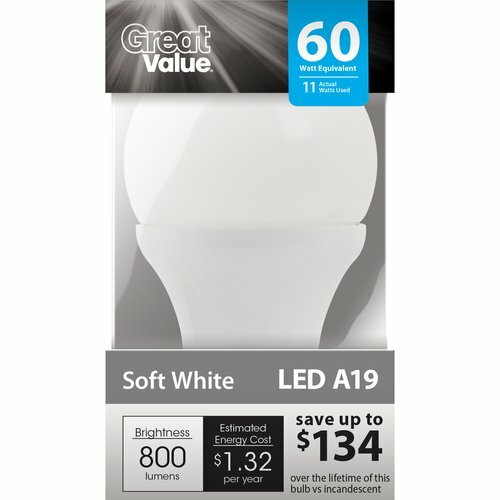 Walmart recently increased the prices, which now have these bulbs around $3 to $4 each, which is still a pretty good deal. Saving money on stuff that saves me money; LOVE IT!. These shirts retailed for $25 and were on clearance for $6 each. Kohls for whatever reason occasionally sends me $10 off your purchase coupons in the mail. I had 2 of these and made 2 separate transactions. Each shirt effectively cost me $1 for 4 shirts. I later bought 2 more at the $6 price. 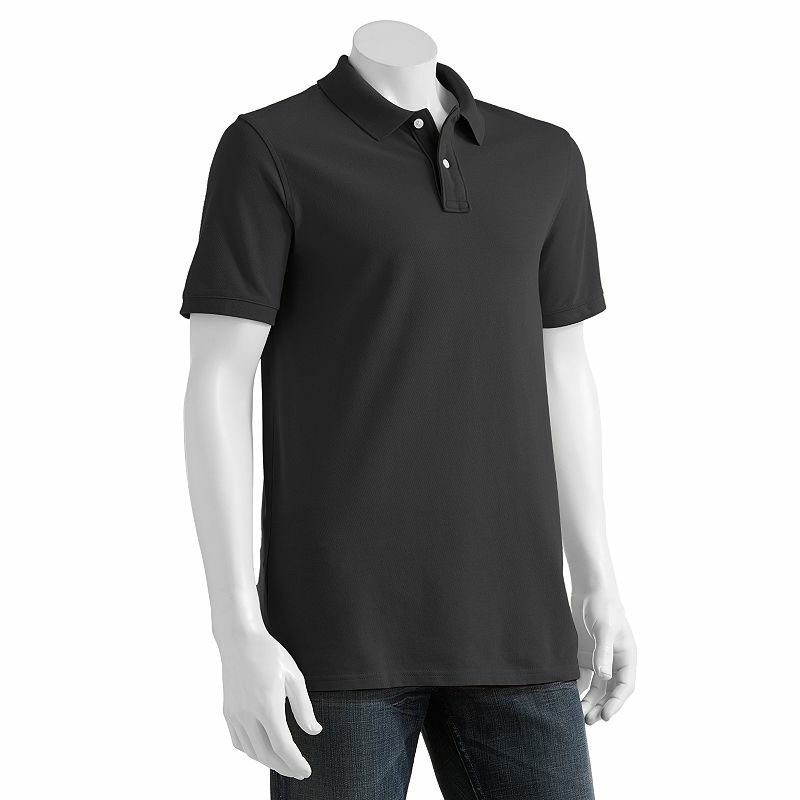 For my job I am required to wear a collared shirt and these fit well and are comfortable. What are your favorite frugal finds? Have you been able to find something useful to you at an amazing deal? What sources beyond craigslist and yard sales do you find cool stuff at? 8 Responses to "My Top Frugal Finds"
Very True, it is incredibly easy to end up buying stuff you don’t need, just because its a good deal. I find I have to hit my brakes fairly frequently when I am looking at stuff to keep from spending money on stuff I don’t need. There are lots of deals on Craig’s list. I give away some things myself. Do not overlook the value of dumpster diving. I found a lot of things that some rich people were throwing away, rather than giving it to Goodwill or similar. And always search “coupon” or “discount” and the store you are buying from on-line. There are often free shipping, or 5% off deals if you look. ooohhh that reminds me of another great find, We got a ping pong table set out by someones trash cart for free years ago. I’ve also given away quite a few things on craigslist too, I remember once giving away a large stack of paving blocks that had formed a walkway from our garage to our house, probably 25 or so for free, it seemed that was the only place the kids fell playing in the yard. I will have to look into searching for those internet coupons. I’ve had some success using retailmenot.com, but I don’t use it very often. – $2650 fridge for $1600 after rebates and sale with 18-month zero-interest plan from Home Depot. After Dad left whirlpool! 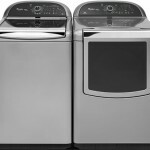 Memorial Day weekend sales are incredible on appliances! And we made friends with all the staff. – I’ve learned how to coupon and get a LOT of stuff for free or close to it. – Zinio and Overdrive mean digital books and magazines are totally free; a lot of libraries have sharing programs so if your local library doesn’t have a great selection, you might having borrowing privileges in a bigger library in your state. I read a lot and this is awesome! – my dumbest, worst “deal” was free moving boxes to the first person who got to them. Because I got a $500 speeding ticket on my way there. Whoops! Those are some awesome deals…I’ll have to check out Zinio and Overdrive. YIKES! $500 is such a big speeding ticket, was that in Chicago? I am trying to use more of this deal buying by foreseeing things I need rather than impulse buying. When you plan you have time to shop around when you do not you tend to buy what is at hand. I am not naturally frugal if there is such a thing. In Europe consumer goods end to be more expensive than in the US so I have to be even more careful. That’s the way to go Resman! I try to do that too, We have a list of stuff that we want/need that we don’t have to have right now, and keep an eye out for those items on craigslist / yard sales. The impulse buys certainly can lead to some problems, even beyond overspending.